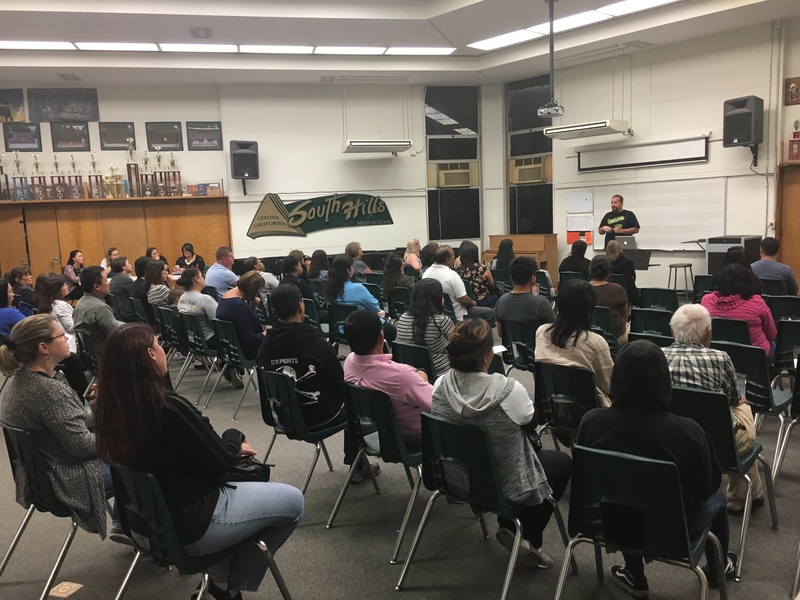 Parent involvement is a key ingredient to the success of the South Hills High School Music Program. you are automatically a Band Booster. It is a free, fun informal meeting that everyone is invited and encouraged to attend. 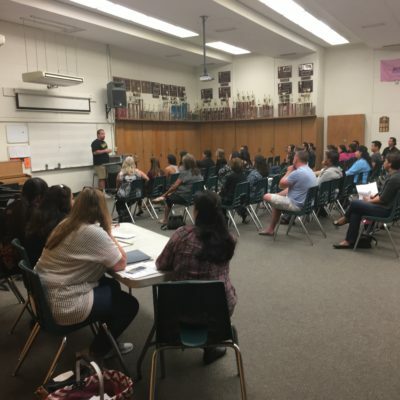 It is during these meetings that we receive the latest news from the Band Director and various committees to discuss and decide how we can best support the band. Working together, we can build on tradition, foster teamwork, promote organization, school, and community pride, and continue to lay a strong foundation for our students that will last for years to come. 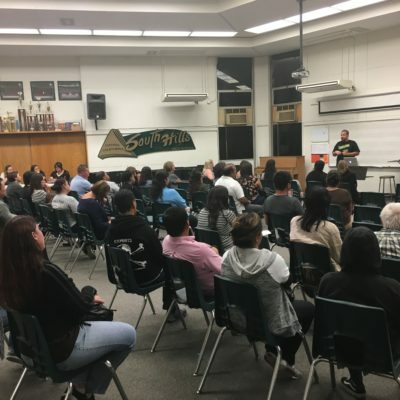 The South Hills Band Boosters (SHBB) hold a regular meeting for all Members at 7:00 PM on the second Tuesday** of each month during the school year (September – May). 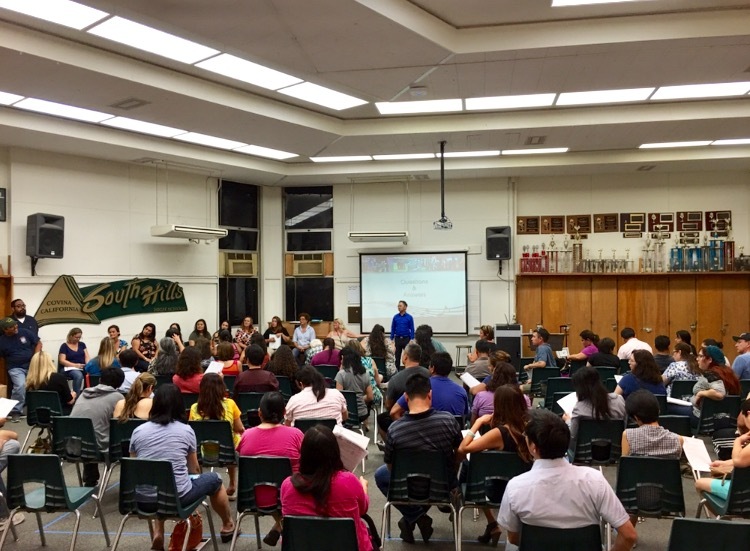 All regular Booster meetings are held in the Band Room at South Hills High School campus. ** Meeting dates and times subject to change if scheduling conflicts arise. Always check the website Calendar or email notices. While fundraising is a major part of what the boosters do, it is not the sole purpose of the organization. 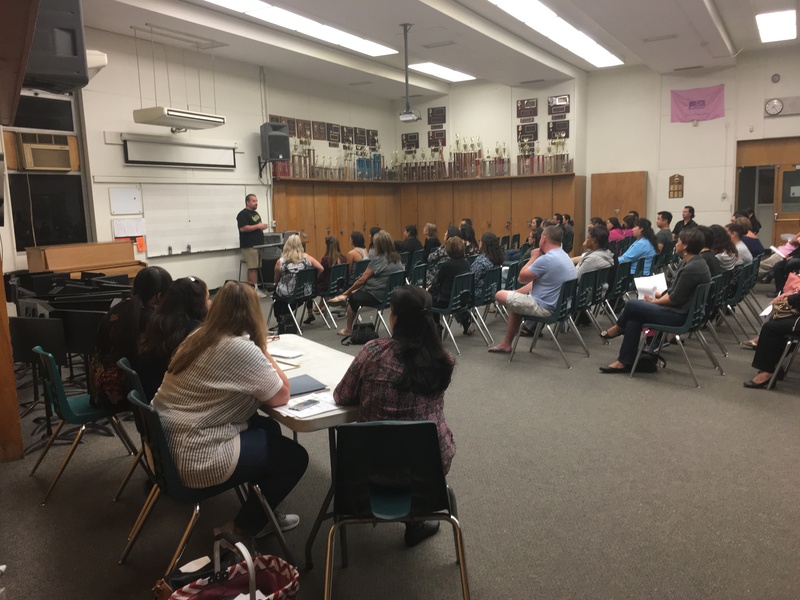 Our band booster organization is one of the few ways you can actively be involved in your child’s high school education. It’s a great way to connect with your student and support an activity they are passionate about. Your most important contribution will always be your presence. Simply being involved sends a powerful message to your son or daughter. There is no substitute for this precious and priceless gift. 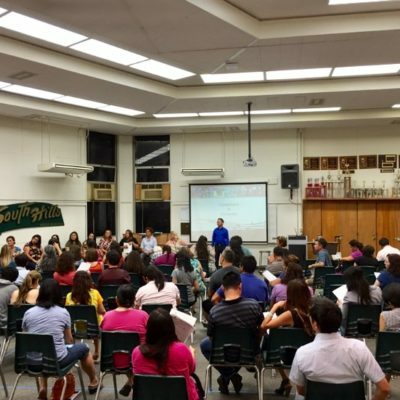 Get started by showing up to a booster meeting! Please feel free to contact Booster Members with any questions you have.